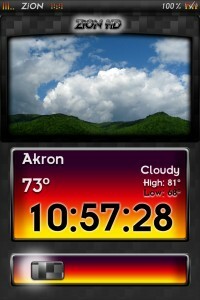 All of these themes are designed by D-Max and provide high definition, graphical rich, iPhone and iPod themes in four different colors. 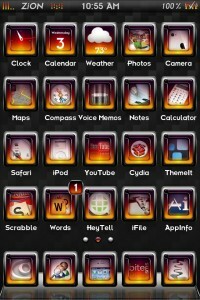 All of these themes are equipped with matching GUIs, loading screens, notifications, keyboards, Animated Lock Screens and Wallpapers, SB Settings theme and support for MobileNotifer, BiteSMS, My3G, Weather Icon, Live Clock and over 100 cydia applications as well as masked icons for appstore applications and games. PSDs are also included for additional formatting (if required). ZiON Series themes are less heavy in memory and all contain matching elements with theme color selected. 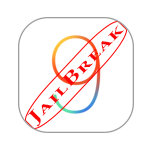 Currently ZiON series is only supported fir iPhone 4 and iPod Touch 4 but iPad version are expected in future. ZiON Series themes are available from Cydia at the price of 1.99 US$ however if you want to try it before purchase follow the procedure here. But please purchase it if you like it. Extras which includes Colour keyboard, Liveclock, WeatherIcon, Five Icon Switcher, Five-Column SB etc can be downloaded separately from Cydia here.